The Blogger Book Fair has reached its last day. It's been such a wonderful experience and we've met some great authors! 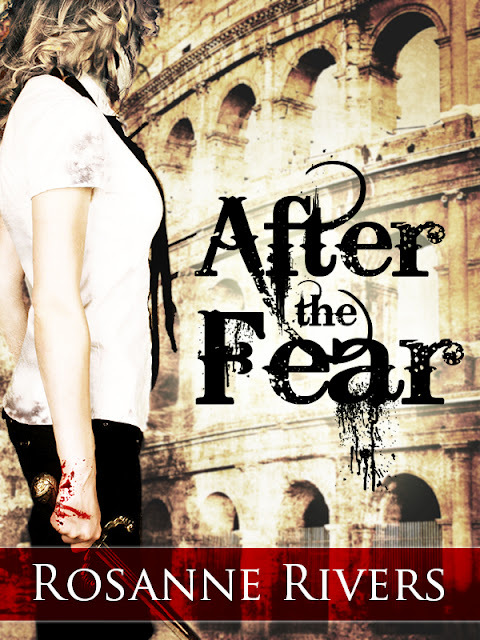 I'd like to introduce you to Rosanne Rivers, whose characters from After the Fear are here to do an interview. Enjoy! Today, on Debtbook Daily, we’re joined by Demonstrators Sola Herrington and Dylan Casey, as well as one of the most powerful people in this country, Shepherd Fines. Welcome, guests. Would you tell us a bit about yourself to start things off? Shepherd Fines: (cutting Sola off.) Of course! Not that I need much introduction, mind you. I’m one of the seven Shepherds who govern you lovely people. I’m responsible for organising the Demonstrations, so I generally spend most of my time in city Zulu, known to most of you as the training camp. But, honestly, that’s enough about me! Sola? Shepherd Fines: Great stuff! That’s enough of that. Next question? This is to Dylan, what did you think the first time you met Sola? Dylan: (grins) I thought: why is she hiding behind the door? Then she made me laugh and I kind of stopped thinking and kissed her. And Sola, what’s your favourite thing about Dylan? Sola: (continuing) I also love that I can beat him in a fight. Shepherd Fines: There’s no one Sola can’t beat. Although her methods are slightly unorthodox . . . Okay, so to you, Shepherd Fines, will you explain how the Demonstrations help to pay back our Nation’s Debt? Shepherd Fines: Of course! Great stuff. The ticket sales for the Demonstrations all go towards paying back our Debt. The Demonstrators are exterminating our criminals and scourge of this country, while providing a spectacle for others to pay to see. This is how the Demonstrators pay their own Debt back. And how did we get into this Debt into the first place? S.F. : Before we Shepherds came into power, the government wasn’t up to much really. There were these things called banks and they kept lending and lending money which the country didn’t have. The banks borrowed from other countries, and the citizens borrowed from the banks. All our ancestors spent on frivolous items until eventually we had nothing left but a huge bill. A bill we now have to pay. S.F: I find that most people don’t take issue with violence as long as it isn’t happening to them! (laughs) No, honestly of course the Demonstrations are violent, but at least it’s putting these people’s deaths to good use. It means that these criminals who have been sentenced to the death penalty are able to contribute to society in their final moments. The end result is still the same as all the other techniques used to execute enemies in the past. And if it was good enough for ancient Rome, the most magnificent empire ever known to man, then it’s good enough for us! I see. Well thank you so much for your time, is there anything you would like to add for our viewers? Sola: Can I say hi to my dad? S.F: Yes. Bad things only happen to bad people, remember that, folks! You have not attended a Demonstration this month. In Sola’s city, everyone obeys the rules. Stay away from the trigger cameras and regularly update your Debtbook, and you just might survive. But having to watch the way criminals are dealt with—murdered by Demonstrators in the Stadium—is a law Sola tries to avoid. When a charming Demonstrator kisses her at a party, however, she’s thrust into the Stadium and forced into the very role she despises. Armed with only natural resourcefulness and a caring nature, Sola narrowly survives her first bout. Her small success means she’s whisked off to a training camp, where she discovers a world beyond the trigger cameras and monitoring—a world where falling in love with a killer doesn’t seem so terrible. Yet life as a Demonstrator has no peace. Sola must train her way through twenty-five more Demonstrations before she can return home to her father. At the end of each battle, only one survivor remains. Sola could face anyone in the Stadium . . . even a loved one. Rosanne lives in Birmingham, UK and considers it one of her favourite cities, second only to Rome. 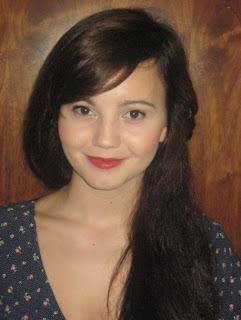 She delights in writing for children and young adults and hopes to bring readers to an unfamiliar yet alluring setting. Rosanne was inspired to write when she read the Harry Potter books, and at age fourteen, she wrote romance fanfiction on just about every pairing you could dream up from the HP series. She currently lives with her partner and two bunny rabbits and is working on a post-apocalyptic adventure book for middle grade readers.